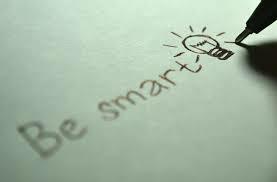 We always strongly recommend to do your research online before you choose a company to invest with. 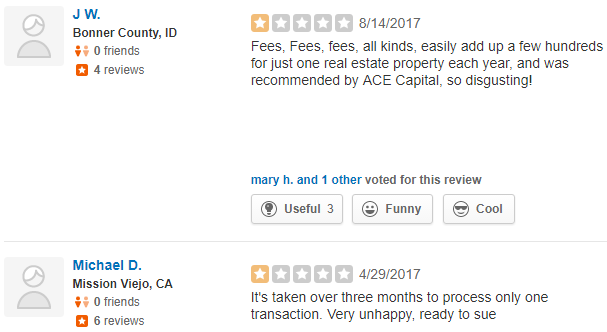 There are so many reviews online of clients being ripped of and scammed. So please investigate thoroughly before you make your decision. With that being said, let´s continue with the review on Strata Trust Company! What is Strata Trust Company about? Self Directed IRA Services is one of the industry leaders in the custodial and administrative account services for individuals and small businesses. It was founded in 2008 by the more established Horizon Bank, which was founded in 1905, based in Austin, Texas. Now this year (2017), the company have changed its name to Strata Trust Company (for unknown reason) so it is no longer called Self Directed IRA Services but instead got the new name Strata Trust Company. Strata Trust is a large provider of IRAs (Individual Retirement Accounts) and they hold over $1,5 billion in assets under their custody. They specialize in a wide range of both traditional and alternative investments within IRAs. Important to mention is that this custodian is partnered with many of the top bullion dealers and gold companies. Yes, IRAs are offered, it is (as mentioned above) kind of the companies specialty. Open a self-directed IRA account and fill out the related forms. Fund your IRA with a transfer, rollover or annual contribution. Find the dealer you want to work with for your precious metals purchase and provide the items outlined in our Precious Metals Investment Checklist. Important to mention here: With this company (Strata Trust) you are alone responsible for paying the annual storage fee. This is something that some of its competitors do differently as many of them actually not only waive the first year’s fee (or even the first 3 years) and also take care of the fee for you in the future so you don´t have to think about it every year yourself. Click the link below for my #1 recommendation. Well, the answer to this is both yes and no. No, you can not store it directly with the company but they do however offer you 2 options to store with their third-party partners. You may select commingled or segregated storage of your metals and you will be responsible for any storage-related fees. Note: All Silver will be held in commingled storage and segregated storage is not an option. What is commingled storage? If you select commingled storage, your precious metals will be held in a segregated storage area for STRATA customers but will be commingled with other STRATA customers within the storage area. 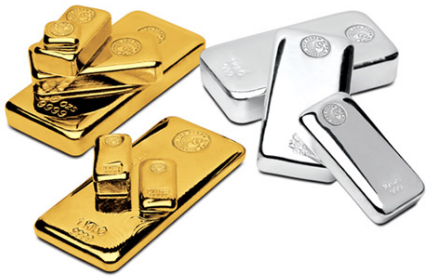 When you later decide to sell, exchange or take an in-kind distribution of your precious metals, you will receive “like” precious metals (not the exact metals that you initially purchased). What is segregated storage? If you select segregated storage, your precious metals will be held in a segregated storage area for STRATA customers and will be segregated, marked and stored with your name and IRA account number. When you later decide to sell, exchange or take an in-kind distribution of your precious metals, you will receive the exact metals that you initially purchased. Your chosen depository will notify us when delivery has been made of your metals. Upon receiving this confirmation from your depository, we will update your account accordingly. Your annual storage fee (outlined on our IRA Fee Schedule) will be billed to you by STRATA in conjunction with your STRATA annual IRA fee. Other IRA custodians are actually taking care of the annual fee for you so you don´t have to think about paying for it every year. Also, many of them completely waive the fee for the first 1-3 years. Can you get your investment delivered to your home? 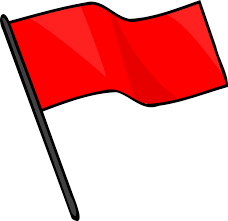 IRA-owned assets must remain in the custody of the IRA custodian (STRATA) until distributed or sold. This means that you can’t personally hold IRA-owned precious metals while in the IRA. 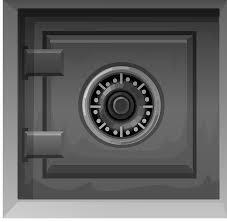 STRATA requires that your precious metals be stored with one of the third party depositories as outlined above. No, the ones who can use the company’s service are citizens living in the U.S. only. Is Strata Trust Company a scam? So, is Strata Trust a scam or not? No, it is not a scam, of course not. It would never have survived this long (even if it is relatively new (founded in 2008) if it wasn´t. It is owned by Horizon Bank and that is of course also something that backs up the legacy of the company. How about the ratings and reviews from real users of Strata? Well, as you can see above the ratings are not really that impressive, especially not when comparing to other companies that offer similar services. There are also positive reviews but we are here to make sure you are aware of the overall picture here. There are companies that got ZERO complaints, and that with HUNDREDS of reviews. One thing that I always put a lot of weight on when it comes to the quality of a company’s support is if they got a live chat function on their website. Strata Trust does not have this and that is something that (me personally) think a company with over $1,5 billion in assets should offer its customers and visitors. The support contact options you got is an e-mail address and a phone number where you can get help with your questions. Do You Own or Represent Strata Trust Company? If you are a representative, or associate of Strata Trust Company and have found something not to be correct in this review please, feel free to tell and I will make sure to update the info on this post. The easiest way to do it is in the comment section below or else you got the e-mail on the about page. Ok, we have now pointed out some pros and cons and you now have a better picture of this company. It is a legit one, absolutely. If it will be your pick or not is of course up to you. Hopefully, this review has made your choice a bit easier to perform. Always (highly recommended) do your own research and compare many different companies against each other to avoid hidden fees and also find the policy of a company that resonates the best with you. What Company Do I Recommend? First of all, You made a wise decision to read this review and you are a smart person. I am absolutely sure that you will find the right company that suits your particular needs and that you also feel 100% safe to invest with. If you are looking for a reputable gold IRA custodian besides any other company, you should check out Regal Assets. They have ZERO complaints from A LOT of real users. Used by celebrities, respected by well-known publications, and websites. Plus A LOT more benefits! I hope you found this short review of Strata Trust Company (Former Self Directed IRA Services) to be helpful and now you should have a better understanding of what it is and if it is something for you or not. If you have used any of the company’s service please share your experience in the comment section below as it can help others. Also, if you got any other questions on this review I will be more than happy to answer them below! Yes, gold is more of a “secure” investment than something that you will make big profit from investing in. Sorry to hear that, really hope your problem will be solved for you. Seems like you got a fast fix done for you? does any one know how to get in touch with these people. Have you tried the options on their contact page? does any one know how to get in touch with these people ? I decided to invest in gold and silver coins and set up a precious metals IRA with Strata Trust Company. I transferred funds from a traditional IRA between January and May, 2018. It was a total of $153,667, which was about 75% of my IRA. They now list market value of $59,867. When I spoke with them in the Fall of 2018, they said it was because of the decrease in the price of gold and silver. The price of the coins has been going up, not down. I called today and their offices are closed during “normal business hours”. On a scale of 5, I give them a minus!!!!! Beware of Horizon Bank/Strata Trust!!!!! First of all, thank you for sharing this with us, and of course, sorry to hear about your nightmare experience, please feel free to come back here and tell us how it turns out, as it can help others. Re the comment “I transferred funds from a traditional IRA between January and May, 2018.
on line and see the total initial price I paid, forvarious amounts of 1 oz coins, 10 100 or 1000 oz silver bars in my account and the current spot price. WHAT I WILL NOT BE ABLE TO SEE IS THE CURRENT MARKET VALUE OF MY ACCOUNT . THIS MAKES SENSE BECAUSE VARIOUS DEALERS WILL BE WILLING TO PAY VARYING PRICES WHEN I SELL. My experience with Strata Trust mirrors that of Leroy’s. I seen this article when looking up Strata’ s phone # and read it and wanted to understand (clarity) on figures ($) that show on my Strata portfolio-investment summary. Reading then what Ken says about calling Strata, I think 🤔 has to do with spot gold prices & gold’s market prices…at any rate I sure would like to know what’s going on with Leroy’s formal complaint with Securities & Exchange commission. First of all, thank you for joining the discoussion! Ken and Leroy, Were either of you buying from Advantage Gold? I am interested in using them to buy gold and they use Strata. Reply directly to their comments and there will be a better chance for you to get a fast reply from them as they then will get notified through their e-mail. John I used Strata through Advantage Gold. My experience mirrors that of Leroy, with Strata. I am just now trying to come to understand exactly what happened and my mess ended up with total liquidation in 2018 with Strata. Their fees are treacherous, ask for a fee sheet from them and be fully aware of them all before investing. We started out as you said through Advantage Gold in November of 2016. After we had 1 distribution we realized FEE should of been in their middle name ! So we completely liquidated by July of 2018 with them.